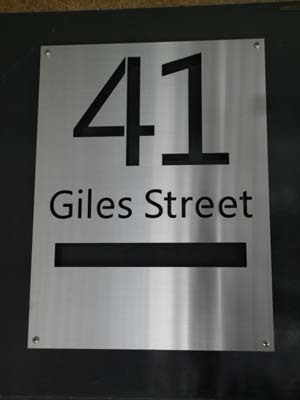 Custom letterbox Faceplate - $349.00 : Letter Box King, Best value letter boxes and lettering! 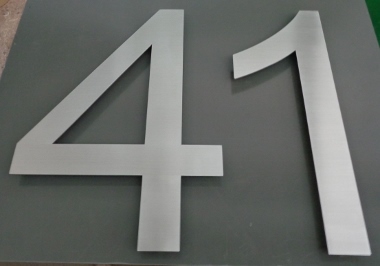 Custom letterbox Faceplate manufactured from 2mm 316 marine grade brushed stainless steel. 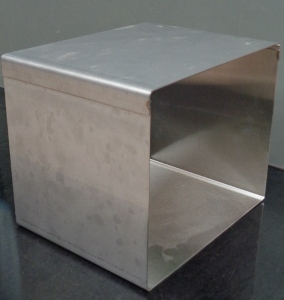 This plate comes with an external weather angle, can be change to an internal weather angle. 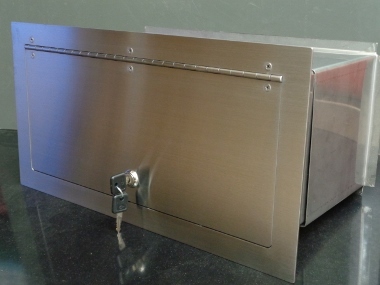 Our 440mm x 230mm lockable door fits this plate, all other doors could be used with a shorter weather angle.